MICR stands for Magnetic Ink Character Recognition and is a technology used mainly by banks. The process was developed as a way for machines to read sequences of numbers that are also readable by humans. 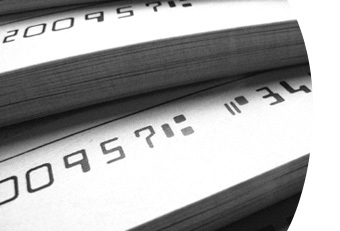 The system is used on almost every check and deposit slip, as a sequence of numbers running along the bottom left. The first number is most often the bank’s routing number, while the second number is the customer’s account number. This is a frequently asked question because many people who are looking for standard toner will come across an option to get standard or MICR toner and want to clarify the difference. MICR toner cannot be used in a regular printer that produces text documents or images- it is specifically designed for printing checks. Once again, MICR toner WILL NOT work in standard printers. 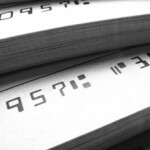 MICR uses a specific type of toner that usually includes iron oxide, which can be magnetized by the machine reading the numbers, in a process very similar to a magnetic tape recorder. Each character is easily identified by the system, even when there is an obstruction, such as a stamp, pencil mark, etc. Each character creates a very different waveform when being scanned, so they are easily recognized by the machine. The system uses two very specific fonts, known as E-13B and CMC-7. These fonts contain only numbers and a few other symbols which represent different banking terms such as transit and account number. There are no letters included in the MICR system. The most significant part of the MICR system is that it can be read by both humans and machines with almost perfect accuracy. For example, barcodes can be read very accurately by machines, but not by humans. Optical character recognition, or OCR software allows computers to recognize letters and numbers but with a relatively low accuracy rate. With MICR, less than 1% of documents are unable to be read, and in these cases, the documents can be easily read by humans. MICR printers are generally more expensive than traditional laser printers, due to the specialized nature. MICR toner cartridges, however, are more widely available than the machines, and using third-party remanufactured cartridges can save quite a bit of money over the long run.